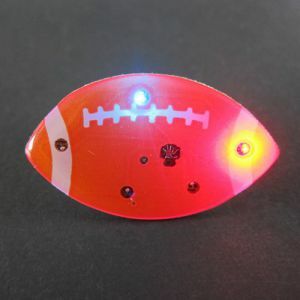 - Light Up LED Football! - Stays on Until You Turn it Off! 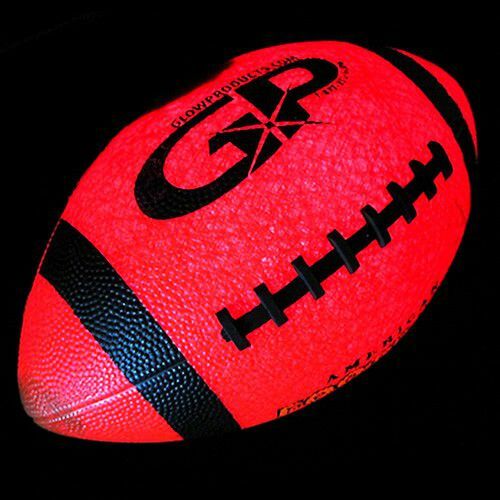 - Official Size & Weight Glow in the Dark Football! 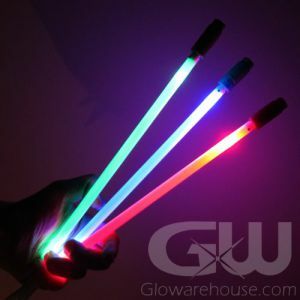 - Play All Night Long with Glowing Footballs! 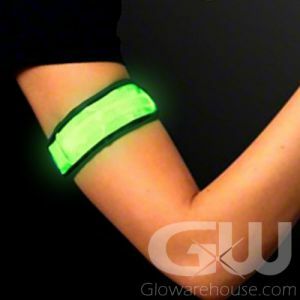 - Super Bright LED Glow Effect! 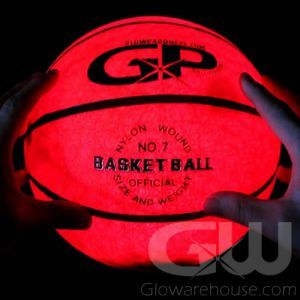 Super bright, durable and official size and weight LED Light Up Footballs it's time to get down and dirty on the grid iron with Glowarehouse.com! These fantastic lighted sport balls enable you to keep playing either a full football game with friends or a fun game of catch in your backyard once the sun goes down. Why play during the heat of the day when you can play all night! Our LED footballs work with replaceable batteries that power a bright LED light that shines through a durable semi-transparent rubber to light up the sport ball. To activate, simply push down on the on/off button. 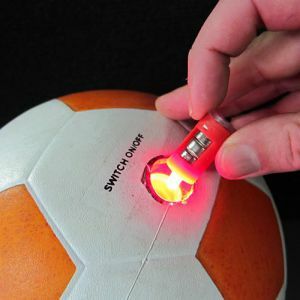 That's right - this means you can turn the LED Football on instantly without having to plan ahead to charge the ball under a light like those old fashion glow in the dark footballs! And Push Button Activation means you have control over the ball, unlike "kick" or "impact" activated footballs that have a timer that could randomly turn the ball off on you, just push the button to turn the ball on - and it stays on. When you have finished playing just turn the ball off. Finally, you have all the control, just like Coach Belichek. Now get out there and Take it to the House! To operate, push the power button and watch your sport ball illuminate and when you're ready to stop playing, push the button again to turn it off! Included with each Light Up Football is an additional LED light and battery unit. To replace the unit, use a flat blade screwdriver to unscrew the button of the LED ball, pop it out and replace the existing insert with the new one. Our Glow in the Dark Footballs are No. 5 Official Size and Weight soccer balls.